North West 200 Superbike king Glenn Irwin is aiming for six victories at this year’s May festival. 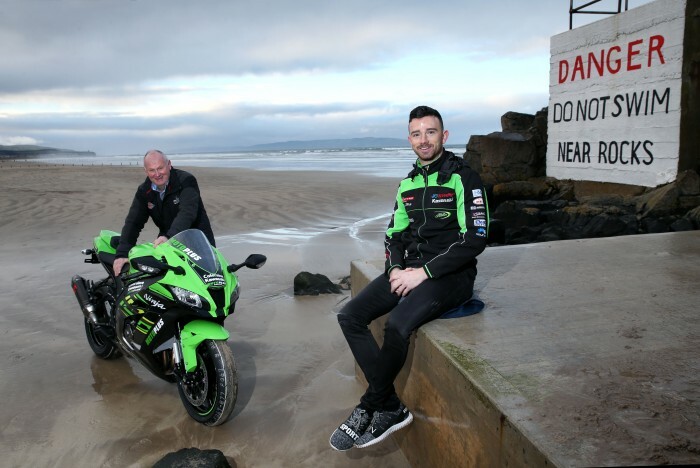 The Irishman will campaign a Quattro Plant Wicked Coatings ZX-10RR in both of the big bike races at Portrush and will also compete in the Superstock and Supertwin events, preferring the tiddler to the Supersport cut-and-thrust. “I am giving myself every chance to win six races at this year’s North West. It has never been done before and I will be trying my hardest to win every race I start in,” said the Carrickfergus man. Having previously raced a Supersport-spec Kawasaki at the North West 200 and Ulster Grand Prix, the Carrick racer’s decision to opt for the Supertwin class over the 600s might seem surprising but Irwin says it is a carefully considered decision. “I haven’t raced a 600 on the roads since 2016 and you have to ride very hard to win a Supersport race, really committing to the corners,” he said.